In the midst of competition DSLR cameras with mirrorless cameras, and of course the camera feature on high-end smartphone turns Canon did not hesitate to launch the Canon EOS 5D Mark IV with interesting specifications, which surely tempt new and professional photographers. If you are a true fan of Canon DSLR cameras, then you will know the Canon EOS 5D Mark IV, the latest series from Canon, which is aimed at professional photographers and those who want to pursue photography more seriously, even if just for a hobby. According to the dpreview.com the Mark IV is designed to appeal to the same wide range of enthusiasts and professionals. The EOS 5D Mark IV is a full-frame DSLR with Wi-Fi and GPS other interesting features. If so, would be interesting to know more about the specifications and features of the Canon EOS 5D Mark IV before you decide to choose the 5D Mark IV or one series of the main contenders Canon, Nikon. You can compare it with the Nikon D810A or D750. All of this camera becomes the target of the fans crazy from Canon or Nikon. The Canon EOS 80D can also be a perfect comparison to ensure competition between Canon vs. Nikon becomes more exciting. If you are a filmmaker or videographer, you can maximize the EOS 5D Mark IV to feature the Super Speed USB 3.0 for high-speed tethering and image / movie transfer. To make your video also interesting options such as 4K 30fps video with 8.8 mp grab a still frame, Full HD 1080p 60 fps, 720p HD mode at 120 fps. This option is certainly very useful for a variety of needs, for example if you are a YouTuber, then there are interesting options, for example you do not have to make a video in 4K resolution, which is definitely slower when you upload to YouTube, but if you live in South Korea, then you will get a very fast Internet connection. If you're hunting photos to Bali and exotic places in the world, you can count on the 5D Mark IV is equipped with Dual Memory Card Slots supporting one CF (UDMA Mode 7) and one SD / SDHC / SDXC (UHS-I) memory card. To make sure that you have a memory card with a large capacity, so you can make pictures and great video without the hassles of memory shortage. For example, in Bali you could comfortably to capture the beautiful scenery, beautiful dance, photographed the architectural beauty of the temple and the daily life of the Balinese. When you are doing your duty as a journalist or as a professional photographer in an area with unpredictable weather, then you do not need to worry. This camera has been designed as a tough camera. 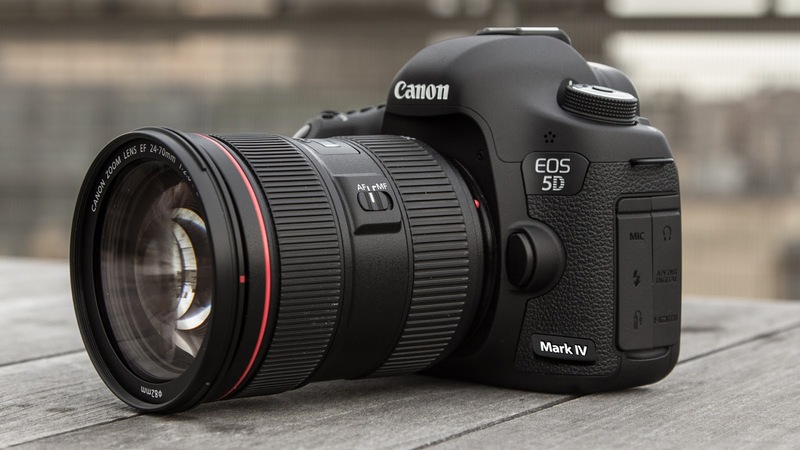 The body of the 5D Mark IV has been reinforced with magnesium alloy, rated shutter durability up to 150,000 cycles, improved dust and weather resistance features. It seems like this camera deserves to be the dream of the advanced beginner photographers, who want more serious to pursue the world of photography. Of course there are other cameras that you can consider. You can only choose one of the models of the competitors like Nikon Canon (of course) or Pentax, Leica, Sony, Olympus or Panasonic. All of these brands must have an equivalent model of the Canon EOS 5D Mark IV.